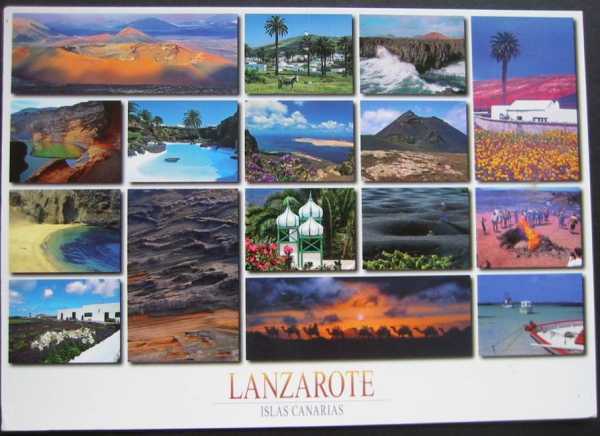 So you’ve chosen to visit the popular Canary Island of Lanzarote. But now you need to work out which is the best resort for you to stay in. Fear not, as our in depth guide to the island’s hot spots below should provide you with plenty of insight. Lanzarote is around a four hour flight from the UK and boasts three main holiday resorts, all of which have their own unique identity. There are also plenty of great places to stay in more undeveloped parts of the island too. The largest and oldest of these destinations is called Puerto del Carmen. It started life as a fishing village but during the 1960’s and 70’s started to be transformed into a full blown holiday resort as package tourism from the UK took off. Today it is the most popular spot on Lanzarote and welcomes hundreds of thousands of visitors from the UK, Eire and Germany each year. What’s the attraction? As well as being located just a short drive from the airport – so keeping transfer times to a minimum – Puerto del Carmen is also home to some excellent beaches, most notably Playa Grande, which has golden sand gently shelving into the sea, making it an ideal choice for families. As well as other smaller bays and coves such as Playa Chica, which is located close to the Los Fariones Hotel, the first establishment of this kind to open on the island back in 1968. Puerto del Carmen boasts plenty of other attractions too, such as Rancho Texas, a wild west theme park and zoo and one of only two golf courses on the island. As well as a host of restaurants and bars which also make it the best choice for those seeking nightlife. Playa Blanca is a much newer resort, located right at the southern end of the island about 40 minutes drive from the airport. The resort is particularly popular with holidaymakers seeking self catering accommodation and there are lots of locally based agencies, such as Optima Villas, who have over 70 properties for let in this area, such as Playa Vista, which is new to the market for 2013 and which is available from £140 per day, sleeping up to eight people. Playa Blanca´s primary draw are it´s three beautiful beaches, Playa Flamingo, Playa Dorada and Playa Blanca (which the resort is named after), whilst the protected coves and bays of Papagayo are also just a short walk from the centre of the town. One of the other main plus points for tourists staying in Playa Blanca is the ease with which they can visit the neighbouring island of Fuerteventura, which is just a short ferry ride away. In contrast to the other two main resorts Costa Teguise is located to the north of the airport in a slightly less sheltered part of Lanzarote, making it more prone to the winds that can blow quite hard across the island. It´s location also makes it the least obvious choice for those seeking winter sun as the other resorts to the south enjoy more sunshine hours. On the upside however Costa Teguise is very closely located to most of Lanzarote´s main visitor attractions, such as the Cactus Garden and the Jameos del Agua, so it´s a great choice for those who are interested in doing some serious sightseeing.